We often get asked about selling antiques, and there are a few options that you can consider when parting from your antiques. In this blog post, we've tried to explore some of the pros and cons. Selling antiques to a dealer will get an item out of your hands quickly and can be a way to get instant cash. Dealers will have in mind the sort of style that they usually sell, they may have a certain style or period that they mainly work with - bear this in mind when looking for a dealer to approach. It's always a good idea to do some background research on the antique you want the dealer to buy to determine the value - the last thing you want is to be giving away a potentially valuable item that you might rather hang on to for future generations. You won't be able to buy your antique back at the same amount you sold it for! Don't forget, an item is only worth what someone is willing to pay for it at the time! Ensure that you know what condition it's in and how this can affect the current market value. If a piece has been knocked, cracked, repaired etc the price may be significantly affected, especially if it is beyond the usual wear and tear or age related use. Many antiques dealers will ask you how much money you want for the item - this is completely normal! It can be extremely frustrating and difficult for all parties to find common ground if you are starting from different points (not to mention the amount of back and forth!). Current market value is useful to know to help you reach a decision on how much you want for the item, but you will need to be realistic with the amount. Dealers have overheads and they need to be able to cover these. Don't be surprised if the offer you receive is equivalent to the auction guide price. Trade sellers can access the item that you are trying to sell them at their local auction so it needs to be worth their while. They also have to be sure they have the space to store it, this is especially relevant if you are selling antique furniture as it may be large! You should be selling to a dealer for the convenience of selling an item quickly, anonymously and receiving quick payment (an auction house would require you to wait for an cheque to be raised and will deduct their commission). You can always approach several dealers and make a comparison in their offers. For instance, if you're trying to sell a retro sideboard and think it may be, you may want to approach a dealer that deals in mid-century furniture. Auctions are regular public sales, where you are able to sell antiques, vintage furniture and pretty much everything you can imagine. If you've never been to one, it's probably a good idea to get yourself acquainted by visiting one! Selling antiques at an auction can be a relatively quick way to find a buyer and as they are well advertised, can attract quite a crowd. Many buyers will be antiques dealers or trade sellers and on the lookout for bargains, so the price you'll achieve at auction will not be the price you would achieve if it were a private sale. As with selling to an antiques dealer, the main reason to sell at auction is to get rid of items quickly, with as little stress as possible. 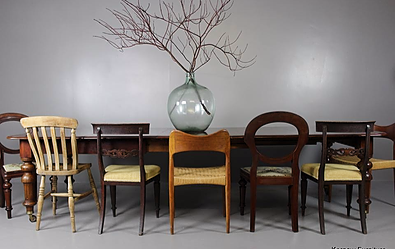 Auction houses can arrange for your items to be collected at a charge, which can be helpful if you have a particularly large or bulky piece of antique furniture you want to sell, or if you don't have any transport of your own. You can carry out an internet search to find your local auction houses, and you'll be able to contact them and find out how they operate. If you aren't sure about the value of your item, auction houses will be able to give you advice if you are registered with them and considering submitting it to the saleroom. Your antique will need to be valued, often this will be offered free of charge through submitting photos and detailed descriptions online or in person at the auction house. 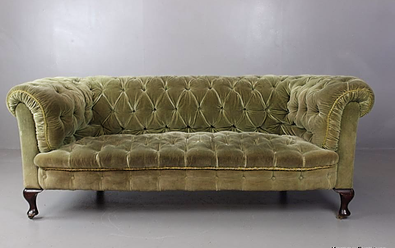 As a seller or vendor, you may be required to pay a lot fee whether your antique sells or not. If you choose to submit your antique to the saleroom, your item will be catalogued and a pre-sale estimate may be prepared for the auction catalogue for buyers. Submitted items are usually put up for sale 'without reserve' but you are able to set a reserve price to ensure your item only sells at the reserve price or higher. The obvious issue with setting a reserve price is if the bidding doesn't reach it, you'll end up not selling at all. If you don't sell your item, you can choose to submit it to the next sale, or arrange collection from the auction house. There will be a specified amount of time your item can be left there, and if it's not collected you will be charged storage fees. It's important to read through the Terms and Conditions to ensure you can comply with them. If your item does sell - congratulations! You won't have to do anything else as the buyer will be responsible for arranging delivery with the auctioneer. However you will have to wait for a period of time before your payment reaches you, this can often be up to four weeks. There are many options to sell antiques privately, a few options include the classifieds of your local newspaper, online auction sites eg. eBay, online classified sites eg. Gumtree, Facebook Marketplace or Facebook selling groups. These options are perhaps the most likely way of achieving the current market value, or as close as you can get! Selling antiques online via eBay may reach a wide audience but only if the right people are searching and if your listing is detailed and complete with good photographs, you'll also want to make sure that you list any defects, marks and photograph them so your potential buyer can make an informed decision and that you don't mislead them with the condition. You will need to provide the best possible information if you want to make yourself visible in searches. As with auction houses, private online auction sites will enable you to set a reserve price. Online auction sites may charge a listing fee, but occasionally run limited time offers to list for free. They will take a percentage of your final sale price. You'll be required to arrange delivery as you have described in your listing or make the item available to be collected by the buyer when agreed. If your item doesn't sell, you will be able to relist the item fairly easily. A useful tool is eBay's completed sold listings as this will show you the actual sale prices of items like yours as opposed to items currently for sale. Looking at eBay items that are currently for sale won't neccessarily help you much as it's the price a seller hopes to achieve rather than a successful antique sale. Facebook selling groups in your local area will reach a smaller audience as views will be limited to the number of people in the group. Take great photos, write a detailed description, make it clear if the items needs to be collected and wait for someone to say 'Yes please' and you can finally comment 'SSTC' (Sold Subject to Collection)! Your buyer will pay when they collect the item, and everyone's happy. The pitfall of selling on these groups can be that buyers fail to collect despite agreeing to a sale. You'll no doubt be frustrated as you've spent time waiting for them to arrive, moved your item close to the front door ready for collection and now you have to rearrange everything....not to mention any other potential buyers you have turned down. You may have had several people comment on your sale post who are interested if it doesn't get collected that you can go back to, make sure you do! Facebook is also great for finding speciality selling groups, especially if your item is sought after. 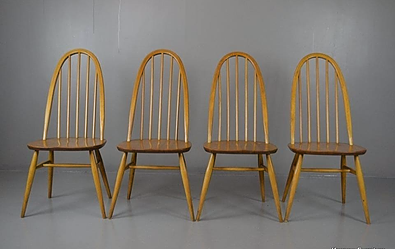 There has been a huge resurgence of retro furniture and homeware, mid century furniture, and Danish or Scandinavian furniture so you're sure to find a suitable group for those speciality items. If you have an item you think we might be interested in buying please send us a picture through our Contact Us page.